How cute is this dress?? I am obsessed with this fabulous and cute Striped Button Dress. This is a must-have for every woman, and it’s a great deal at just $17 (reg. $33). This dress has a flattering drop waist, deep pockets and small pinstripes. It’s also nursing friendly, so it’s the perfect dress for all of you who just had babies and are nursing them. This dress is super fun and perfect to pair with your favorite sandals, wedges or booties. Hurry to grab this before it sells out! 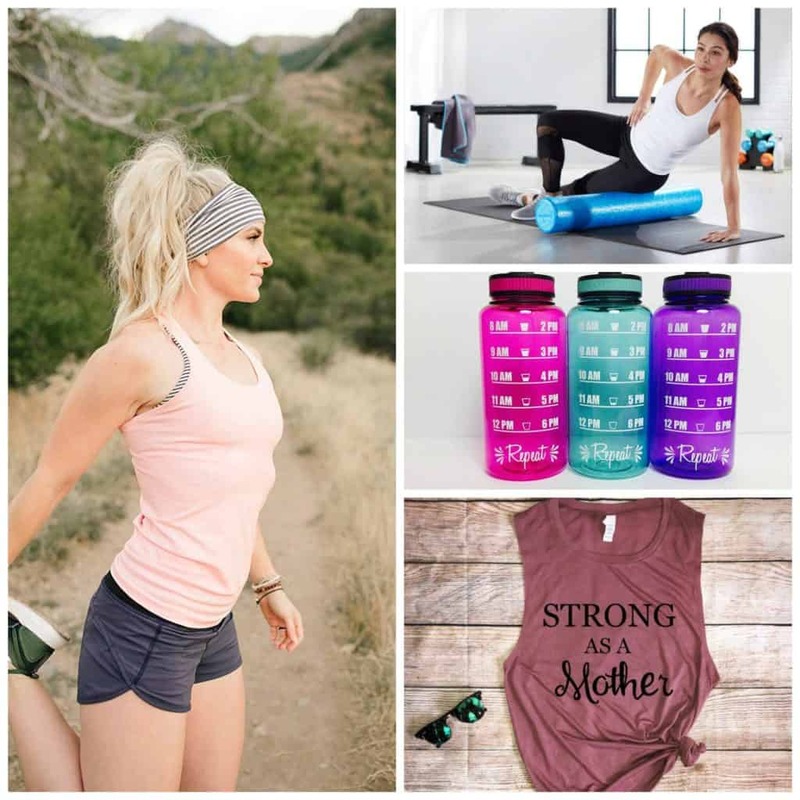 Getting in shape and losing weight are big New Year’s resolutions, and if those are on your list of things to accomplish this year, we have some must have accessories for your new fitness resolution. 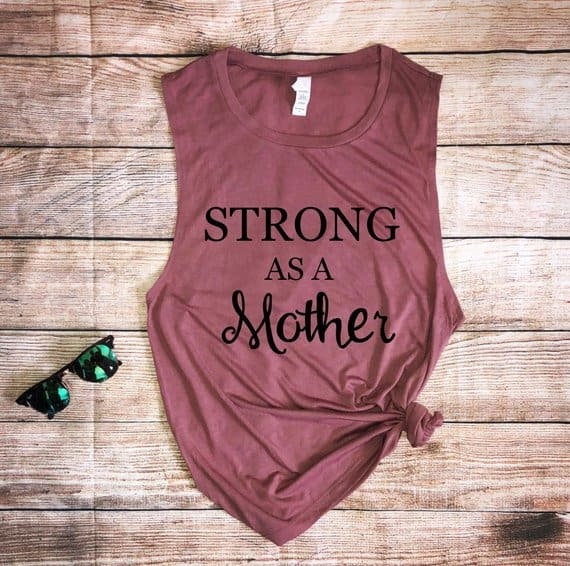 I love this Strong As A Mother tank top, and not only is this perfect to wear to the gym but you can throw it on with jeans when you’re out and about. This is going to become one of your faves. Have you been looking for a good smartwatch to track your calories and activity? 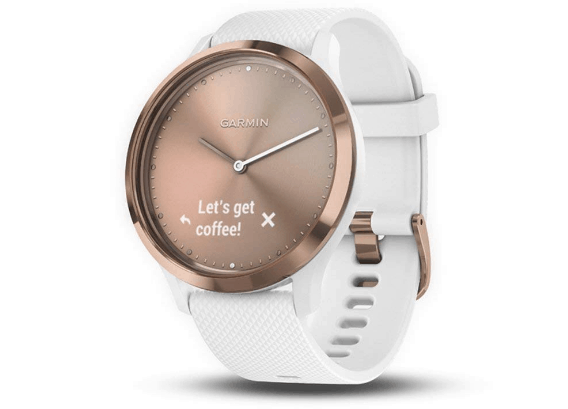 If you love rose gold, you’ll love this Garmin vívomove HR, Hybrid Smartwatch in white and rose gold. Break down and relax sore, tight muscles after your workouts with this AmazonBasics High-Density Round Foam Roller. My husband uses one of these after he works out and runs, and it’s something he can’t go without now. 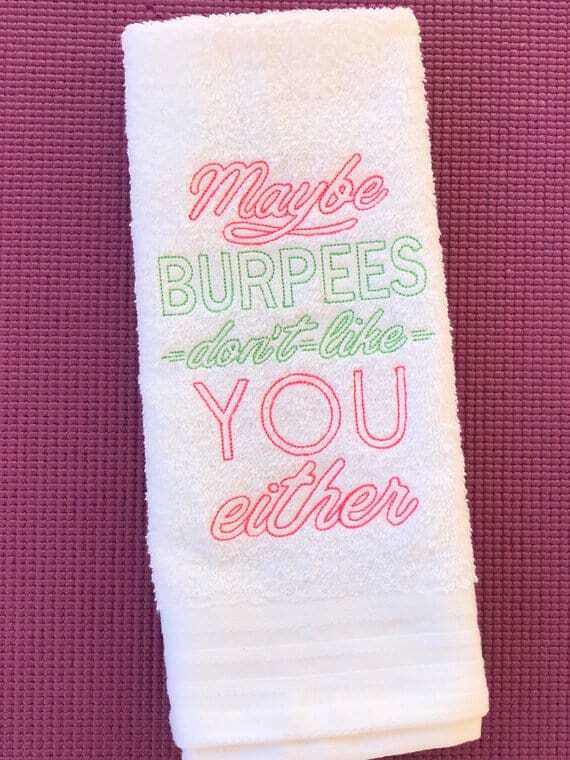 This Maybe Burpees Don’t Like You Either gym towel cracks me up because I hate burpees. I am totally grabbing this because I know it will make everyone who sees it laugh! 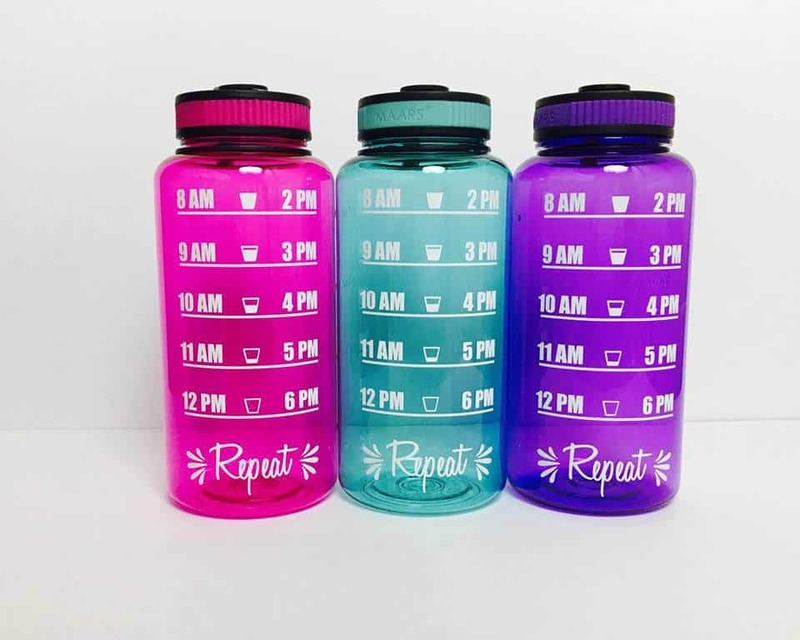 I struggle to get in all my water every day, and this Tracking Water Bottle makes it easy by showing you how much you should drink every hour. The small increments make it less daunting. I’m totally getting this. A good headband is a must-have for keeping hair out of your face while you’re exercising. 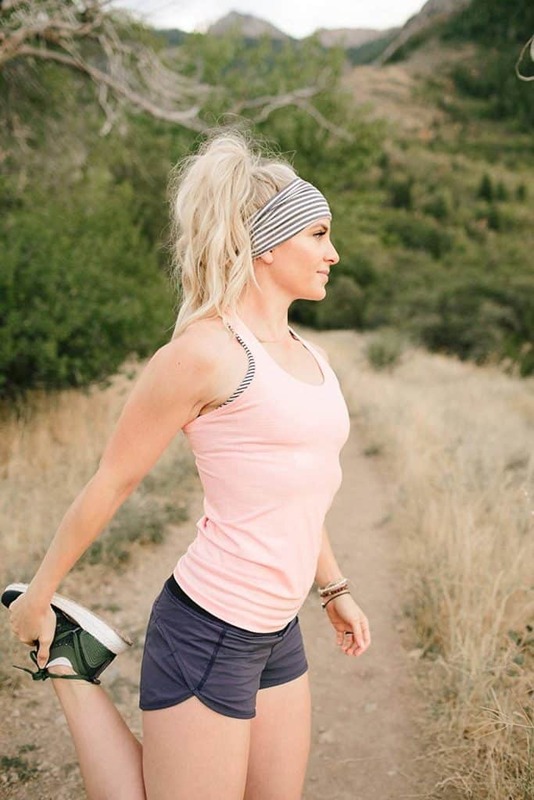 This stretchy Wicking Headband is one you’ll want because it wicks away moisture – a definite plus when working out. Make sure you grab these must have accessories for your new fitness resolution. 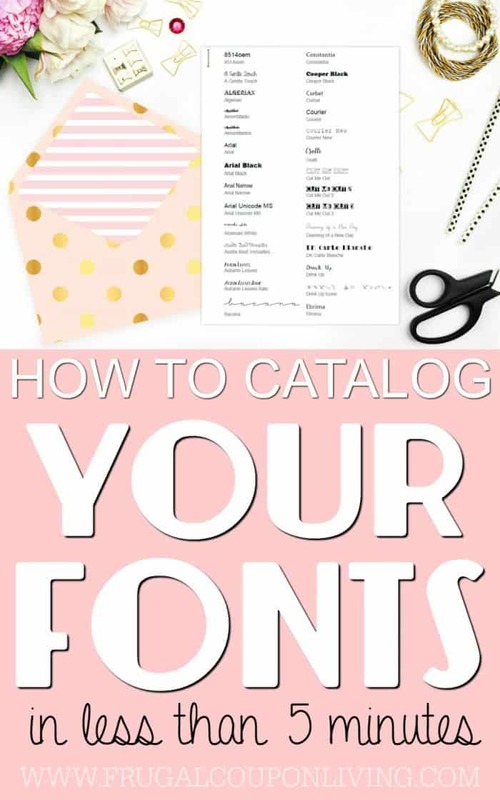 How to make a Font Catalog. 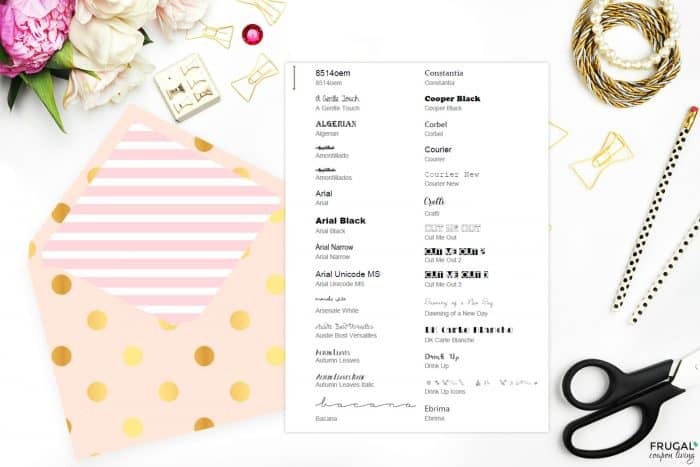 5 Minute Tutorial – Print Your Fonts into a Font Catalog. Free fonts and Step by Step directions. To get your FREE Font Catalog, go here to Stefan Trost Media. The program will lead you to this page. On this page, scroll to the bottom. I downloaded (clicked) PrintMyFontsforWindows (as seen above). This is because I have a Windows computer. If you have a Mac or another program, you can see what program is recommended for your computer. The program downloaded to my download folder. I had to open that folder and extract the program. 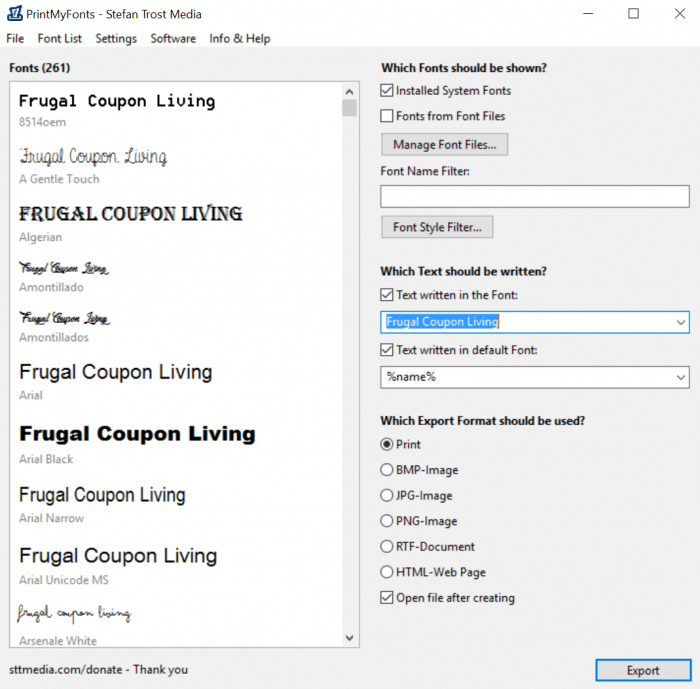 You can then open the application PrintMyFonts. One thing I liked about this program was you could decide what you print. Look for the box “Text written in the Font” I wrote the above font using my blog name. However, I printed the names of my fonts in the font style. But you could write your name, you could do something like the “The quick brown fox jumps over the lazy dog.” (that phrase gives you ever letter of the alphabet) or you could print each letter form A to Z in the font style. Use the drop down arrow and decide how you want your catalog to look. If you don’t want it to print, you can also save it as a PDF. I saved a back up one to my documents on my computer. You can decide a JPG, RTF, BMP etc. Under Print, I can print to my computer or save it to a PDF. Is this so easy?! 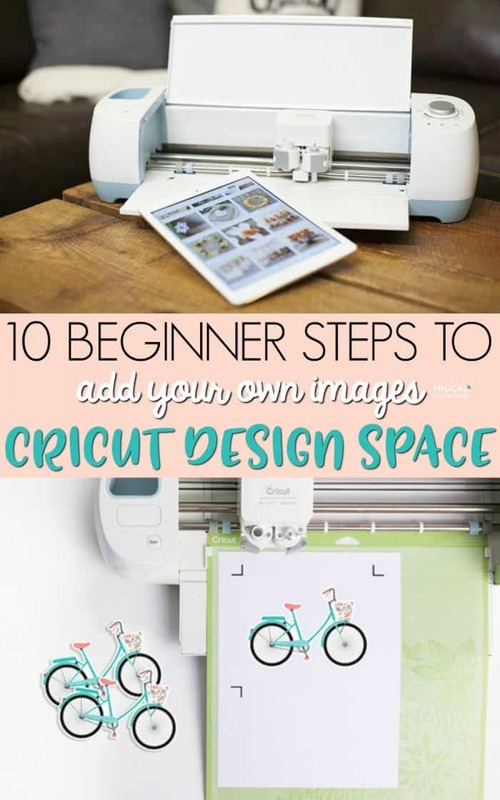 For me personally, it will help me with my Pinterest creations, but I think for many of you it will be good for those who create documents, use vinyl machines, craft and so much more! So I REALLY love fonts. 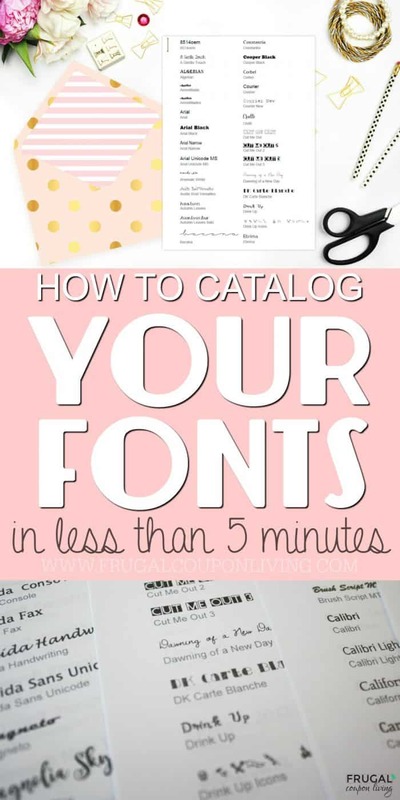 Be sure to pick up 1,000s of fonts with the link image above. Many are free! Fonts are so fun on a Cricut Machine. 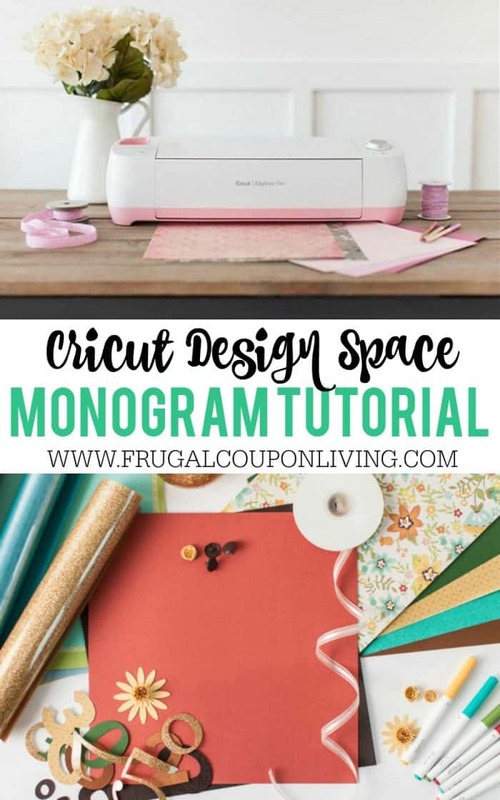 Take a look at this Cricut Monogram Tutorial. Pin to Pinterest. 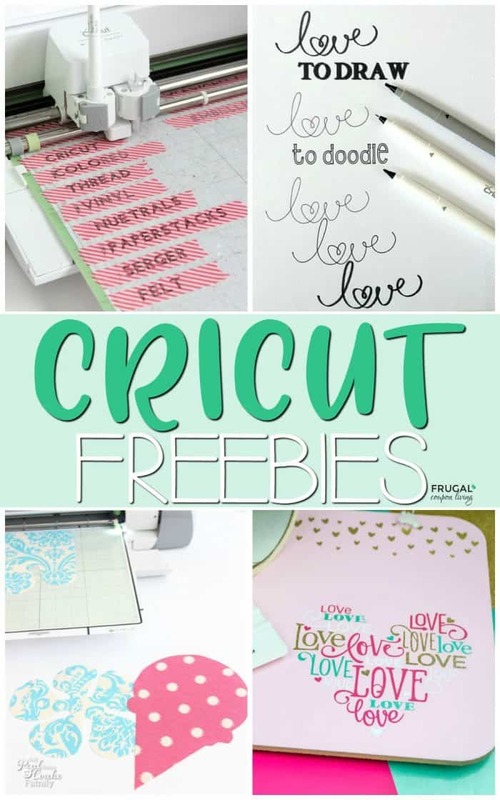 Another Cricut Tutorial – How to Add Your Own Images to Cricut Design Space. Pin to Pinterest. A new year means new fitness and diet resolutions, and if you’re looking for items that will help you meet your goals, you’re going to want to check out today’s sale. 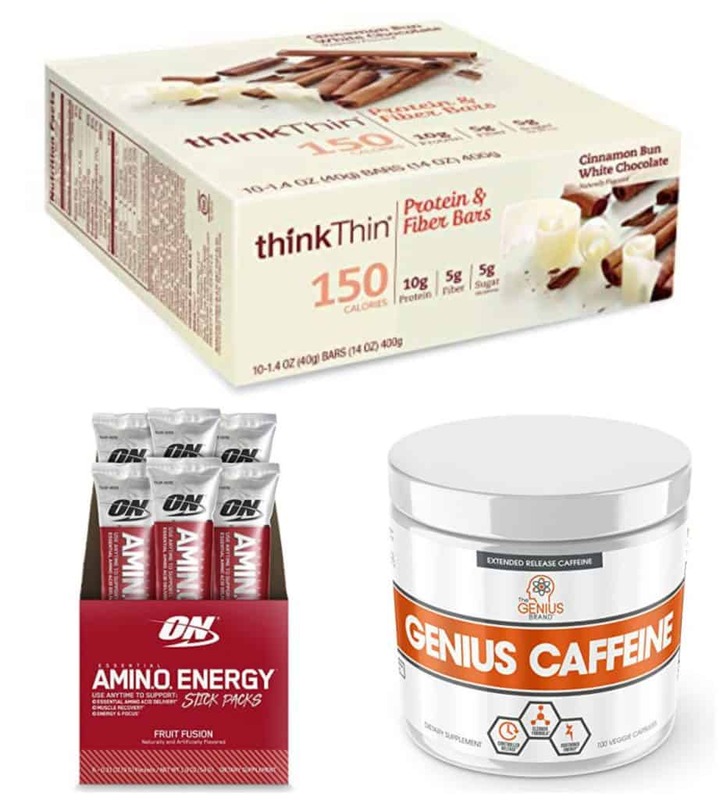 You can get up to 65% off Energy, Diet and Workout Essentials. 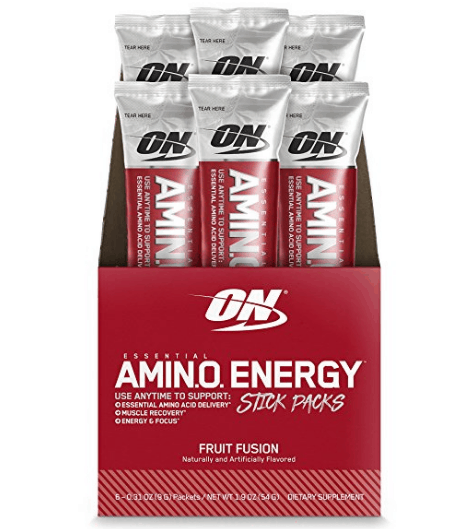 Boost your energy and mental focus during the day with these Optimum Nutrition Essential Amino Energy with Green Tea and Green Coffee Extract Individual Stick Packs. 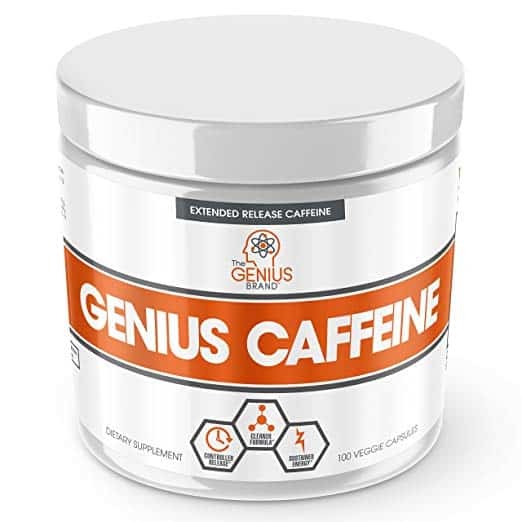 Avoid energy crashes during the day with these Genius Caffeine Extended Release Microencapsulated Caffeine Pills. 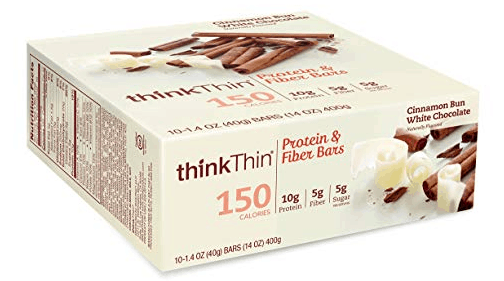 Get some extra protein and fiber in your diet with these thinkThin Protein & Fiber Bars. This Cinnamon Bun White Chocolate flavor sounds SO good! 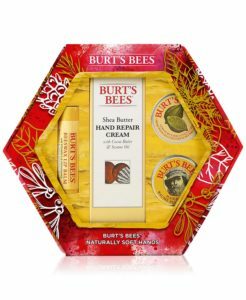 Shop the after Christmas sale on Burt’s Bees Holiday Collection at Macy’s! Several gift sets are available, starting as low as $9.99! Plus, shipping is free! Jumpsuits are trending right now, and this is a great time to grab some chic ones for your closet. Shop this Jumpsuit Collection Special to get jumpsuits in a variety of styles, colors and patterns for just $17 (reg. $53). I have seen so many people wearing jumpsuits lately, especially the ones with the spaghetti straps and cinched waists. These are great to wear year-round – now with a cute jacket and in the spring and summer with your favorite sandals, wedges or heels. You’re going to want ALL of these jumpsuits, so it’s a good thing they’re so heavily discounted!